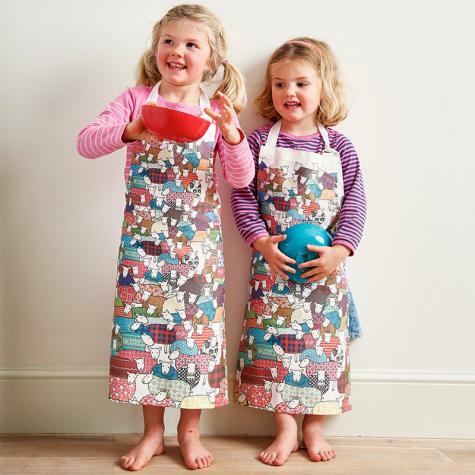 Keep your kids clean in the kitchen with this fun, homemade apron with a colorful sheep flock print. This round birch wood serving or tea tray would go well with any shepherd's kitchen. Platter features a fun sheep print design. Protect your clothes while looking stylish in the kitchen. This fun sheep print pattern is handmade in Britain from soft cotton. A colorful notebook for writing notes, reminders, etc. Cover features fun sheep prints. Blank inside. Great gift idea for women, men and kids.